Chinese companies are spreading over Africa’s land. Chinese loggers, miners, farmers and traders, and multimillion-dollar infrastructural investments are fast becoming a feature across the continent. Some of them gobble up forest and woodland. Some bring huge benefits to African economies. Some do both. All of them are changing Africa. China’s massively ambitious Belt and Road Initiative – its ‘silk road for the twenty-first century’ – is pushing a wave of state-backed and private financing for infrastructure projects deep into the lands and rural communities of developing countries. Potentially the biggest infrastructure project the world has ever seen, China’s initiative will have big consequences for African forests and the communities living in them. 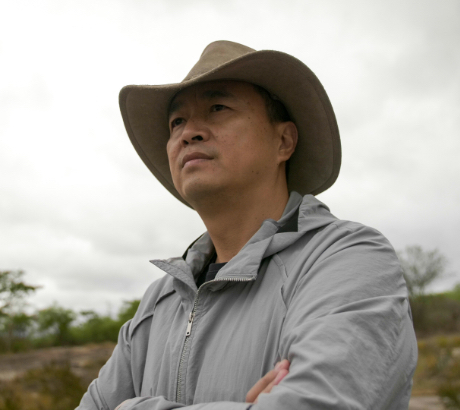 More Chinese companies in various shapes and sizes, doing business with Africa’s natural resources, are likely to follow pioneers like Mr Zheng. So, a shared understanding about what is really going on is urgently needed – especially among those in China and Africa who can influence the prospects for sustainability of these developments. Behind the ribbon-cutting ceremonies and big headlines about China-Africa cooperation, there are winners and losers, individual lives and trails in the forest. Where does Africa fit in the Belt and Road Initiative? A trillion dollars, more than 70% of the world’s population, and huge ambition are woven together in China’s Belt and Road Initiative (BRI). 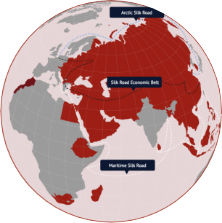 Called ‘one belt, one road’ in Chinese, it’s a revival of China’s ancient transcontinental land and sea silk roads. But there is little nostalgia in BRI. It is about roads, railways, ports, pipelines, power stations, industrial parks – and more. It is a trade bloc revolving around China and rules written by Chinese companies. It is economic cooperation zones, financial regulation, high-speed internet, direct investment, education, culture, health, aid, tourism, foreign relations and politics. About 70 countries have signed memorandums to collaborate with China since BRI was first proposed by President Xi Jinping in 2013 – the first of them were South Africa in 2015 and Egypt in 2016. Many other countries have entered BRI-related contracts or are sympathetic. So far in Africa ‘BRI countries’ also include Angola, Kenya and Tanzania – as ‘anchor countries’ along the Maritime Silk Road (one of the two main infrastructure and trade development channels of BRI). They also include Cameroon, the Republic of Congo, Ethiopia, Nigeria, Morocco, and Mozambique – all of which have investments in a deep-water port and related large-scale infrastructure projects and trade zones with Chinese involvement. BRI countries worldwide account for some 4.4 billion people and about 40% of global GDP. China expects its annual trade with countries along BRI routes to surpass $US2.5 trillion within the next decade. Estimates of the total value of China’s investments in BRI projects worldwide range from an impressive $340 billion to a mind-boggling $1 trillion to the perhaps fanciful $8 trillion. Chinese banks have backed 2600 projects with a total $200 billion in loans in so far – banks such as the Export Import Bank of China (Exim), China Development Bank, Bank of China, Industrial and Commercial Bank of China. A sovereign wealth fund, the Silk Road Fund, and the Asia Infrastructure Investment Bank – China’s version of the World Bank – make the investments, mostly in the form of interest-bearing loans. Private Chinese investors also added $15 billion last year. Critics say that with China’s economy slowing back home, state construction companies are being put to work abroad – exporting China’s problem of excess capacity at the expense of other countries, which will get few skilled jobs and be left with white elephants and debt. Others have labelled BRI the most environmentally riskiest venture ever undertaken. For sure, if Africa is to secure huge benefits and avoid huge costs from BRI, a wide range of effective planning, dialogue and negotiation processes will be needed. To date there appears to be no formal engagement between the African Union and China on BRI. This needs to be fixed, since if African governments lack a long-term strategy, BRI could become a one-way street, with Chinese government and private actors alone deciding what is good for development on the African continent. Back in 2013, IIED with partners in China and Africa began exploring a new way of bringing attention to forest issues. The China Africa Forest Governance Platform was born. This sought to engage Chinese investors and enterprises, and government players and NGOs in tackling the illegal timber trade and in seizing opportunities for more sustainable Chinese investment in land-use sectors. Since then, through much joint research, dialogue and targeted support to key decision-makers, those working with the platform have found that some changes with surprisingly big impacts can be made. Here is the story of some of these breakthroughs. Huge impacts of investment and trade on African forests are not created by Chinese companies alone. Global politics and economics are playing out here. Local and foreign investment from other countries is having impact too, but it is the large and increasing scale of activity by Chinese companies – in forestry, agribusiness, mining and infrastructure – that warrant some special attention. So, while demand from China for African resources is huge, so too is the potential for investment. The big question then is, how could it be harnessed to work best for African lands and livelihoods? At first sight, much Chinese investment seems socially and environmentally destructive. But those involved in the platform soon realised that much was assumed rather than really known. They found that perceptions have been recycled and these have fed prejudices. It turns out that many with opinions have lacked even basic information, while others simply lacked means of good communication. Once information and communication is improved, more interesting and varied reality – and more promising opportunities for collaboration – are quickly revealed. Most of the Chinese companies involved in the timber trade are small-scale, and notoriously difficult to reach and influence with policies and regulations. As part of a project supported by the UK government to advance the platform’s agenda, IIED and partners set out to link African artisanal producers and small enterprises with Chinese companies and traders, with a view to fostering partnerships for more sustainable production and processing. They soon found that the constraints and risks to this can be worked on, piece by piece, in specific contexts. Project partners began communicating with Chinese timber traders via social media in Cameroon and the Democratic Republic of Congo (DRC). 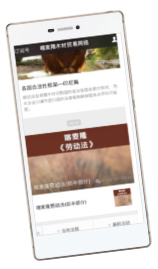 Weekly newsletters and follow-up interaction garnered engagement with some 200-300 Chinese-speaking users. Partners followed this up with capacity building work, getting Chinese timber authorities and customs departments to Cameroon to train Chinese companies there in new species rules and trade requirements. The project also helped form a Chinese timber traders’ association with more than 20 members from Cameroon and surrounding Congo Basin countries – which is now engaging these companies for the first time in legal compliance. In DRC, work to support the large number of small scale loggers – many of whom have traditionally worked under the radar of policy and legality – has enabled them to get organised. These new artisanal loggers associations – ACEFA in Kinshasa, and RECSIAM in Mai Ndombe province, for example – are committed to more sustainable practices and aim to strike a better deal with Chinese timber traders. 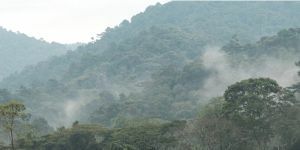 Several of the largest forest concession-owning companies in Central Africa have stated their intentions to invest in integrated local value-adding sustainable forest product business. Under collaboration agreements with IIED’s project partner WWF, work has continued with three companies in Cameroon which export some of their timber to China, to get them prepared for independent third party legality audits and legality certification, and to strengthen commitment to move to sustainability certification. Work has also focused on promoting the Responsible Timber Exchange platform as a tool to improve accountability, screen out the illegal timber trade and stimulate lesson sharing between certified companies and non-certified ones. Project partners also engaged with companies at the other end of the value chain, in China. Gradually breaking down resistance and developing trust based on accurate information, for example, partners brought together the managers of 26 enterprises trading in African timber from the Zhangjiagang Timber Industry Association. They collectively import a substantial proportion of the African timber entering China – and all have long-term trade relations with Mozambique, Equatorial Guinea, Gabon, Ghana, Cameroon and other countries. Training focused on new international and Chinese government trade requirements associated with timber from Africa and – significantly, given the previous reluctance of these companies to engage in any such dialogue – several companies have made commitments to fulfil these requirements. In Uganda, Chinese companies in the forestry, agribusiness and roads sectors were persuaded to take part in a series of dialogue events with NGOs and government, about the findings of analyses of their current practices. Some of the Chinese companies had also produced a responsible investment report, and this too provoked debate. This was the first time open multi-stakeholder discussions about the impacts and solutions to problems of Chinese investments in land-use sectors were made possible. Several announcements of action by the Ugandan government followed – on clarifying key policies for more socially and environmentally investments, and on preventing investments on inappropriate lands – and commitments to social responsibility were made by six Chinese companies with land use investments. The research and dialogue process also revealed the crucial role of the Chinese embassy in developing investments – and project partner ACODE is continuing to work with the embassy, as well as companies and government to ensure that some of these commitments become reality. In engaging with more than 120 Chinese companies and other organisations active in African land-use enterprises, the project partners found a key gap in the ability of policymakers and NGOs – both in Africa and China – to connect with businesses, let alone influence their practices in the remote areas where investments often take place. The prejudices that many investors hold against NGOs, for being politically motivated, and against local government officials, for seeking opportunities for personal enrichment, take a long time to overcome. Conversely, local groups and NGOs often distrust businesses without sufficient knowledge of their plans and operations. So, initiatives that explicitly aim to build understanding, trust and long-term relationships are key, and having those who are bilingual in Chinese and English, French or Portuguese on the team is essential. The project found, in Cameroon, DRC, Mozambique and Uganda, that it took about two years of relationship-building before Chinese companies would have enough trust to participate in workshops and public forums and about another year before they could make any meaningful commitments. The Chinese government may also be encouraged to back more aid projects in forestry. To date, this has been limited to short training courses in China for African foresters. Chinese project partners studied African participants’ experience with these courses and presented recommendations for change. 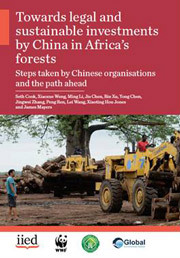 These have since been taken up in national development cooperation plans, and the Chinese Academy of Forestry has been in communication with several African government agencies on planning new forestry development cooperation based on joint needs assessment, context-specific design, and building organisations’ capacity to support sustainable forestry. Improving the sustainability of the timber trade and building the commitment of Chinese companies to look after the environment and local livelihoods, are essential tasks, but insufficient in themselves for sustaining forests and improving livelihoods. The reality is that trees will be cut down, so a complimentary effort needed is to use those trees better. Increasing the amount of timber that is processed in Africa before being exported would help to generate local jobs and income. Following some promising discussions between Chinese companies and the government in Gabon, project partners developed thinking on ‘forest wise’ processing areas – those based on sustainable use of the forest resource and good returns to local livelihoods. Country specific research followed, along with some intense study visits by African forestry players to China, and some exploration of the political support that would be needed. Key players in DRC, Cameroon, Uganda and Zambia are now pursuing commitments to develop sustainable forest product processing. In one of the project’s initiatives, a group from various organisations and companies in Mozambique built on an analysis by the project with a detailed exploration of the Ghanzhou park in Nankang district and the Xinminzhou park in Zhenjiang city in China. This helped them develop plans for securing the right technology, enabling policies, investment in education of the local workforce and sustainable management of natural resources. In addition, the discussions laid the basis for a collaboration agreement, signed in March 2018, between two Chinese private companies and FNDS Mozambique, a state-owned investment fund, on exploring processing ventures bases on sustainable resource use. 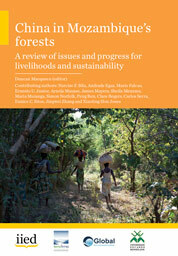 One of the key sources of inspiration for many throughout this work has been Mr Forest in Mozambique. Mr Zheng’s company has been growing, diversifying and integrating ever more fully in the local economy for 15 years. With luck the next few years will see the company come good on its plans for sustainability. Project partners have worked with Mr Forest to pilot sustainable operating practices, commit to adopt Chinese government guidelines on good forestry, and support associated community engagement to market non-timber forest products. Mr Forest is now the front-runner in developing a practical investment approach for Africa’s first forest-wise processing area. Only time will tell if these apparent breakthroughs are robust. Further initiative is certainly needed, and the new ‘Silk Road to the African Forests’ will surely be a rocky one. But this is a story so far of creative leaps in understanding between people who were previously unconnected, and if such leaps continue to be made, big gains for forests and livelihoods could follow. The opening film in this long read was produced by the Tamarind Tree and IIED. You can also watch a related short video about Mr Zheng and his company Mr Forest. This is part of a wider initiative improving evidence, capacity and joint action for sustainable Chinese investment in Africa's forests. Find out more about the China-Africa Forest Governance project and download our publications below. Invest in forest-wise people and business!